Martin Smith was born in London in 1956. 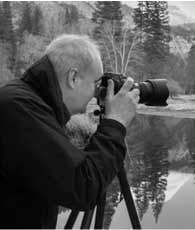 As a graduate mathematician he combined his passion for photography with a successful career in the financial services industry for many years. A decade ago he devoted himself to the art of photography. Although he was originally inspired by some of the world’s great landscape photographers, Martin has developed a uniquely personal style of documentary and cityscape photography. He has built up a diverse body of work as a result of extensive travels across five continents. In the course of these journeys he has photographed some of the world’s most famous locations but he also searches out the lesser known places, their unique stories, their history, people and landscapes. Today the reach of his portfolio is global and perhaps it is this, together with his passionate attention to detail and quality that make his work what it is. He has exhibited internationally and his work has featured in the Sunday Times, Daily Telegraph and the foreign press. His prints have been purchased by hundreds of buyers for homes and businesses around the world. As Martin says, “Every second that passes is history. That moment will not return. Everything changes. Sometimes slowly, sometimes quickly but nothing lasts forever. These are the factors that inspire me to create a particular image. Moments in time, captured forever. All of my pictures represent a precious memory and the joy of photography lies in being able to share these unique images with others”. The collection showcased by Joe Cornish Galleries features panoramic and night photography of London, Martin’s home city, as well as other overseas locations.